This week’s Friday Five comes to you with the summer in mind. 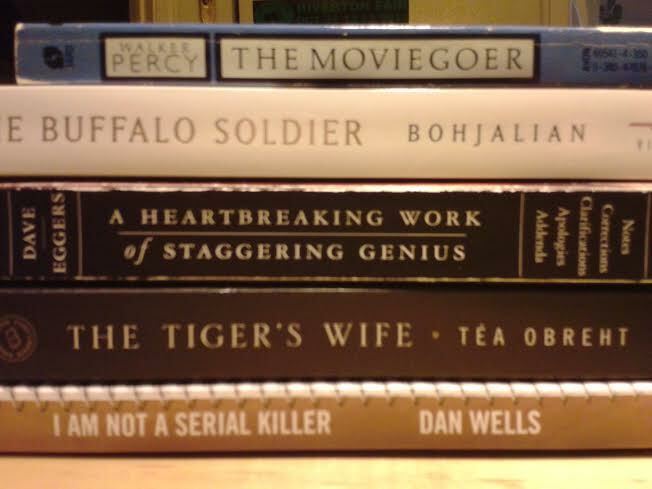 Too many books, too little time. So, I thought I would prioritize a few of mine for the next two weeks. 2. Chris Bohjalian The Buffalo Soldier–I have yet to read a Bohjalian novel I didn’t like, but somehow, I missed reading this one. Just yesterday at the local Goodwill I found a copy of this (all the college students are moving out and donating their libraries to Goodwill). Random note: when I worked at a bookstore in Vermont years and years ago, I met Chris, and he was a lovely man, which has nothing to do with him as an author, but always gives me warm fuzzies to know a favorite author is also a kind person. 4. Tea Obreht The Tiger’s Wife–This one has been on my shelf for a year or so, when a colleague recommended it to me. However, in a conversation with another colleague, I gave it away. I seem to have a problem giving books away. Well, I suppose it isn’t a problem as much as a habit. So, I found this one at Goodwill again, and purchased it. Because, hey, who wouldn’t buy a good book for only $1? 5. Dan Wells I am Not a Serial Killer–This one I’ve had in the back of my mind to read ever since I talked about it with Lisa Yee. Yeah, I just namedropped. I don’t get to do it often, so give me this one. We were chatting at dinner after the PCTELA 2012 Conference and I asked what her kids liked to read. She mentioned this book, which features a young John Wayne Cleaver, who apparently prefers dead people to the living. So there you have it. My current queue. It might change. Well, let’s be honest, it will probably change. But that’s the prerogative of a reader–to change her mind as quickly as she flips a page. Happy Friday and Happy Reading and Happy Almost Summer. I’ve been meaning to read a David Eggers book for years. I know, I know, I need to read Heartbreaking Work of Staggering Genius, since it is often called the modern Catcher in the Rye. And, I have What is the What and Zeitoun on my to-read shelf on my nightstand at home. So last week when I went to the library, I checked out The Circle on a lark, thinking, I have a 3-day weekend coming up, and I may want a spare book around the house (not like I don’t have enough as it is). 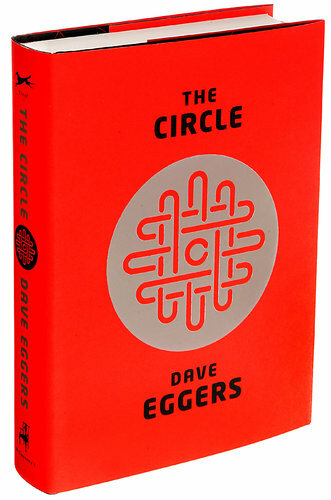 The cover is compellingly bright, with a C in the middle of what looks like a circular maze/joined paperclips. So I started to read, thinking, I’ll just read a few pages…and that turned into a few hundred more, and a few hundred more…Here’s why this was such an interesting read for me. Mae Holland, a young woman only a few years out of college, lands a job at The Circle, where her college roommate, Anne, has become a major player. The sprawling campus boasts so many amenities that employees would never have to leave. There are even dorm rooms for those who choose to just sleep on site after a long workday or a social event. It sounds like the perfect job at the perfect location. You all know what’s coming, right? Yup, social media dystopia. The Circle invented TruYou, a way to tie all social media together–a way to tie all of humanity together, one profile at a time. This, folks, is why I would say The Circle is the 1984 of our time. The events in the book are not implausible. And Mae is not a protagonist we can really hate–we understand her, we empathize with her, and we pity her (in fact, some of us may have been her in our frenetic social media lives). What makes this book so frightening is not that there is one entity or one person that we could point to and say: “That’s the bad person.” The problem in our social-media-driven society, as denoted in David Eggers’s book, is that collectively we have become a strange version of our true selves, and as we tie ourselves more extricably to social media and information, we lose our hold on ourselves and our identities from within. There are whispers of Bradbury’s Fahrenheit 451 in this epic study of how one person can lose themselves to the collective. 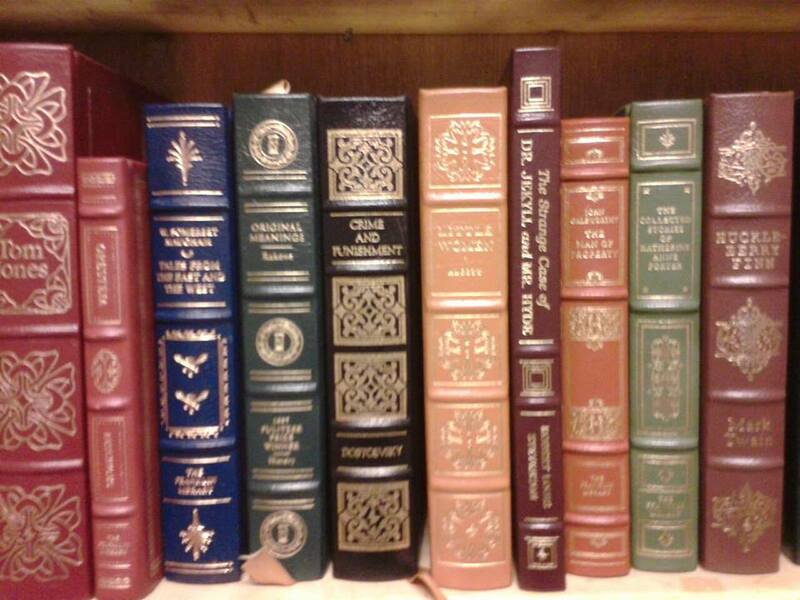 There are also heavy bows to Orwell and even Zamyatin in the text. I would highly recommend this to anyone interested in a feasible look at what might happen when we try to work for the greater good without remembering sometimes individuals should have individual rights. Although I warn you, once you read it, using social media might feel a little uncomfortable. As I tweeted about how much I loved this book, I realized the irony. And I looked up David Eggers on twitter: no account. After reading this book, no surprise. 5. I love to learn from my old students. They’ve usually gone off and read books I want to read, learned things I didn’t know, and had experiences I never had, and they tell me all about them. For example, last week, a student who had been to Uganda helping out at a hospital and orphanage was telling me about his experiences. Then, another student shared with me that she had joined the Fencing team, and yet another talked to me about a book she’d read in her education class that sounded fascinating. 4. Seeing them connects me to others. I love hearing about other former students–how they are, how the gap year went, what successes they have. I’m generally the last to hear about the adventures of former students, as I’m not connected with many on social media, so meeting up with one, means I hear about ten others. 3. We can share tea like adults, and I don’t have to censor myself or pretend not to have opinions. When I teach, I try to mediate conversation and not interject my own opinions or thoughts on the matter. When I meet a student for a cup of tea, we can have a conversation like adults, and I can share my views with them. Sometimes, it surprises students to hear me voice my opinion on something. Often, it doesn’t. 2. They remember class fondly, or at least, they are appreciative of what they learned. More than once I’ve had a student say something like, “wow, I didn’t realize how much I would be prepared for college, but I’m so far ahead of my peers.” This is always gratifying, and it reassures me that in the face of so much standardized testing, I’m still teaching students necessary skills and knowledge for life beyond high school. 1. It reminds me that students are listening, especially at a time of year where I’m convinced not many of them are. Former students remind me of a specific event, or saying, or comment from class–sometimes things I had forgotten about. Not only is it funny to be reminded of memorable class jokes or situations, it is gratifying to know they listen, even when we don’t think they are. There are few books that delve into philosophy, art, death, identity, politics, and life in the way this one does. The narrator, a young Nigerian psychologist, walks through the streets of New York, and interacts with the denizens of the city, all the while contemplating his interactions. One of my favorite elements of the storyline was the friendship Julius had with Saito, his former English professor. The visits Julius had with him made me think about my own future, and wonder if someday I might have former students visit me when I am in old age, failing in health, but strong in mind. It isn’t just the content of this text that made Teju Cole my new literary crush–the style was transfixing and simultaneously energizing. His use of language with such precision, joy, and novelty enchanted me. 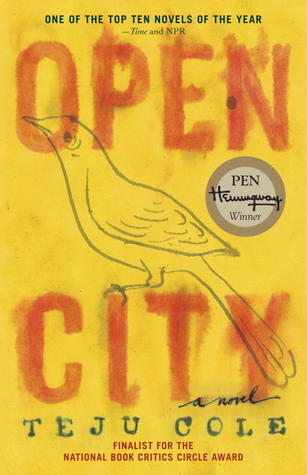 I especially loved the motif of birds–he bookends the story with images of birds in the city. I think, perhaps, the birds are the most significant motif woven throughout, when I look back at that Hamlet quote he slid in there. I highly recommend this book for anyone interested in art, thought, language, and just a good book to marinate about even when you’re not reading it. With a tagline like the above, who wouldn’t want to read this novel? I had anxiously been awaiting the release of this book for the past year. When I went to conferences, this title would almost always come up. Reading posts and articles about the most anticipated books of 2014 – this was at the top of the list. Some of the very best teacher friends and writers I know labeled this a hands-down must-read. The problem with listening to people build up a book so much is having the highest of expectations! Although this book did not surpass my expectations, it did meet them, at least. 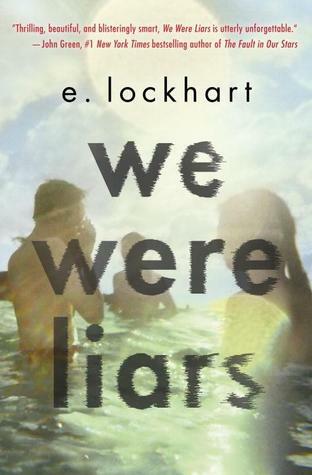 More than the plot or character development, what really drew me in was E. Lockhart’s poetic writing. Her use of figurative language and poetic devices had me almost humming along to her words at times. In fact, there was a nice, appropriate cadence (Cadence – ha!) to her prose. For a fast-paced and rather quick summer read, pick up this novel! My students and I spend one period each month in the library. The librarian and I introduce a new genre to them every month in creative formats and then they have the rest of the time to browse the shelves. It’s important for teachers to work closely with our school librarians (for a LOT more reasons than listed here today). This is just a sampling of some benefits. Please consider collaborating with your librarian as we close out the year… or make plans to co-teach next year to enhance a particular lesson! I spoke to my school librarian about her thoughts on collaborating with teachers, and these are the top five reasons she’s found for teachers to collaborate with school librarians. 5. Your students will earn higher test scores! Scholastic compiled a Research Foundation Paper that advocates for strong school libraries. It states that “more than 60 studies have shown clear evidence of this connection between student achievement and the presence of school libraries with qualified school library media specialists.” It further states that “When library media specialists work with teachers to support learning opportunities with books, computer resources, and more, students learn more, get better grades, and score higher on standardized test scores than their peers in schools without good libraries.” Read the full Research Foundation Paper (28 pages) here: School Libraries Work! As teachers, we sometimes get so wrapped up in teaching curriculum to our students that we forget to sit back and enjoy the experience of learning for ourselves. When collaborating with my librarian at school, I learn about all the new books coming out this season and the new hot authors all the kids are reading. She, in turn, gets to put an ear to the classroom and learn about what the students are being taught in their classes throughout the building. And let’s not forget to mention all the times she’s walked me through confusing tech issues! We differentiate academic instruction for students, so why not try to incorporate some of that same methodology into the learning environment? Not every student will reach their full potential while sitting in a classroom with four concrete walls and teeny-tiny desks. Going to the library allows for a whole other range of sensory input – soft comfortable chairs, walls lined with computers, shelves of printed books, colors, quiet and calm! My students get very excited when another library day is coming up on the calendar. The change of scenery makes learning feel fresh and invigorating for them (and for me!). Since working with my librarian over the past couple of years, we’ve adapted the presentation methods we’ve used with students. We’re constantly saying “Oh… what about doing it this way?” or “Do you think this might work?” The librarian and I have already improved our methods of instruction for just this one day that we collaborate each month, but I’ve found that our discussions have started effecting my own instruction as well. Sometimes working in the same position year after year can result in a well-oiled machine, yet somewhat stale teaching. By collaborating with your school librarian, you can breathe life into that unit that you’ve been teaching the same way for the last 5 years straight – making it more engaging for both you and your students! This last reason might be a little selfish, but it is SO necessary. The librarian is one of the most connected and important figures in a school. If you’re new to the building, they can help you navigate all the convoluted tech, clique, and other issues you’ll face each day. They’re also usually willing to sit and talk about books for hours. While most people look at me like I’m some kind of alien when I try to discuss the latest teenage drama like Twilight or Better off Friends, the librarian shares in my strange passion! I can’t stress enough the value of befriending a colleague who is like-minded and values literacy in all content areas, shapes, forms, and sizes. First published in The English Journal.